A native of Bayonne, New Jersey, son of the late Louis and Bessie Martin Hyman, he served in the US Army and received his Electrical Engineering Bachelor’s Degree from New York University. Upon graduation, he began his career with Bulova Watch Company and relocated his family to Greer, SC, in 1963 to take over the operation of a family business. He was a retired employee of Exide Technologies (General Battery Corporation) and a member of Messiah Lutheran Church, Mauldin, SC. During retirement, Larry remained active as a Greenville Hospital System Volunteer, through weekly games of bridge at the Ray W. Hopkins Mauldin Senior Center and years of square dancing with Sally throughout the United States. Surviving are his wife, Sally Hyman of the home; sons, Gary Hyman (Gerri) of Simpsonville, SC, Robert Hyman (Patti) of Wakefield, Massachusetts, Stephen Hyman (Sandra) of Cowpens, SC and Steve Smith (Tina) of Greer, SC; daughters, Martha Donald (Bruce) of Greenville, SC and Kathy Richardson (Billy) of Taylors, SC; ten grandchildren, Ted Hyman, Alex Hyman, Charlie Hyman, Mark Hyman, Jeff Hyman, Caroline Donald, Chase Donald, Karen Smith, Gene Richardson and Amanda Richardson. A memorial service will be held 11 a.m. Friday, April 5, 2019 at Messiah Lutheran Church in Mauldin, SC conducted by Pastor Michael Simpson. 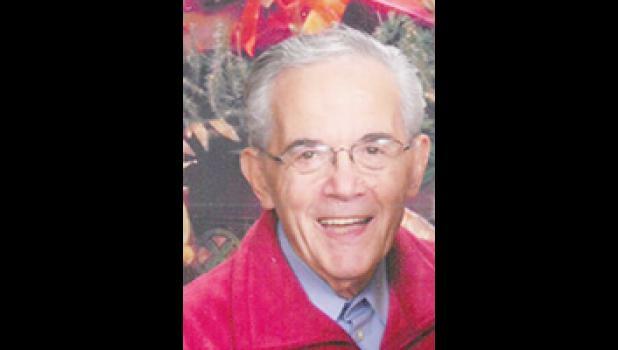 Visitation will be held prior to the service beginning at 10 a.m. Friday. In lieu of flowers, memorials may be made to Messiah Lutheran Church, 1100 Log Shoals Road, Mauldin, SC 29625, or to Lutheran Hospice, 429 Main Street, Suite 3, Greenville, SC 29601.